The BRX-VDSL2, the latest addition to the BRX family, extends the reach of VDSL2 DSLAMs or MSANs to expand the Customer Serving Area (CSA) by a factor of at least 50% for services up to at least 50 Mbps on a single copper pair. Subscribers beyond 4,000 feet (1.2 km) on a 24 AWG (0.5mm) copper pair will get 30% to 50+% increase in bandwidth. 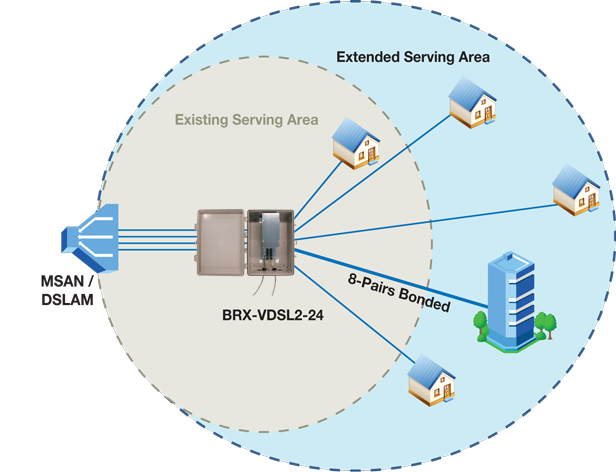 The BRX-VDSL2 increases the bandwidth to residential and business customers and can be coupled with 2-pair and 8-pair bonding technologies for even higher bandwidth. It delivers a fiber-like user experience so customers can enjoy top quality video streaming with multiple HD feeds and still have enough bandwidth to simultaneously surf the web and use other applications. The increase in the available bandwidth capacity on existing last mile infrastructure results in higher ARPU, lower attrition and increased customer satisfaction at a low cost. 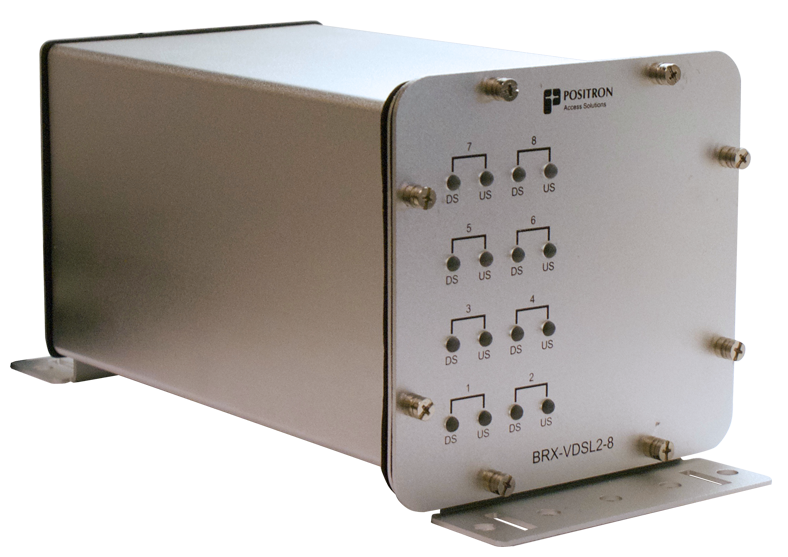 The BRX-VDSL2 is fully transparent to Vectoring and pair-bonding applications. Installing a BRX-VDSL2 on a copper pair makes it possible to extend the benefit of vectoring to longer distances from the DSLAM. Bonding two pairs together, unless limited by the DSLAM or CPE, enables the doubling of the bandwidth. 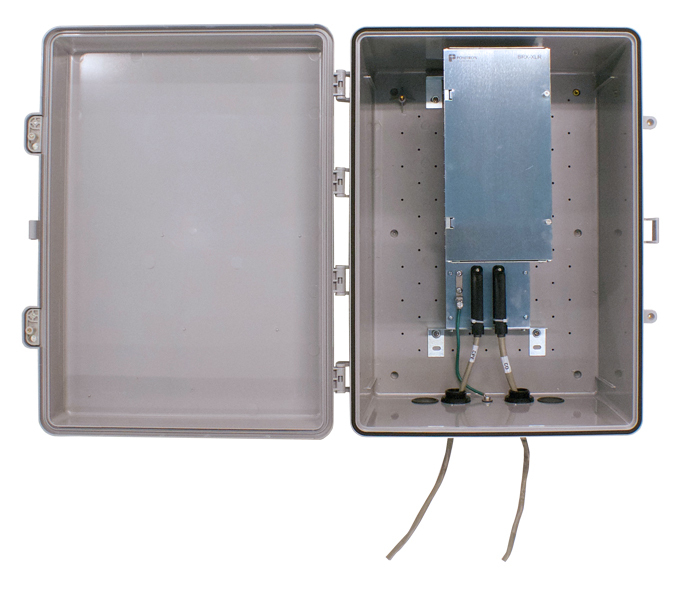 In addition to delivering a significant increase in performance, field testing has shown that the BRX-VDSL2 will help mitigate some of the common problems impacting the performance in the Outside Plant (OSP). 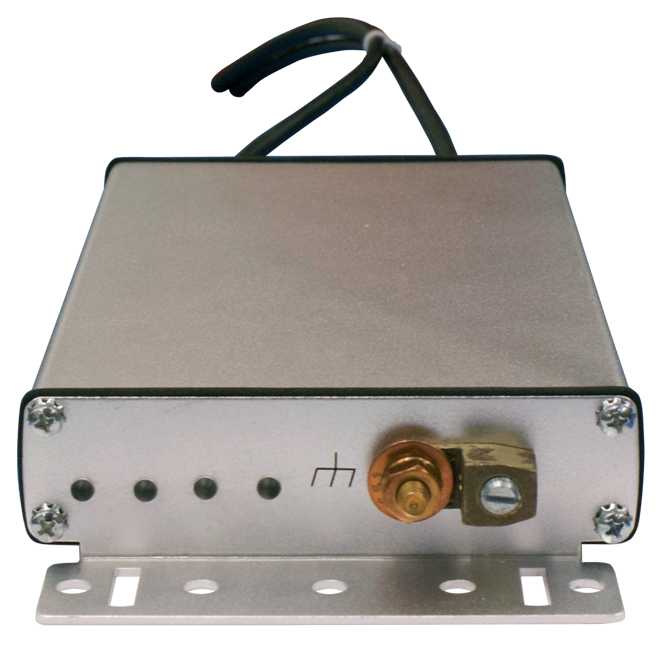 As it amplifies the VDSL2 signal, it filters out some of the accumulated noise on the copper pair which improves the signal-to-noise ratio (SNR) up to 14 dB. It also mitigates the impact of bridge taps, including those resulting from inadequate in-house wiring.